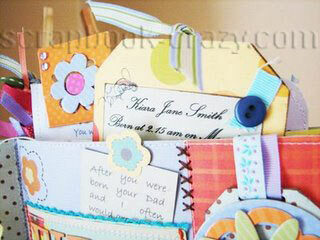 A paper bag mini scrapbook filled with the first days of a new life. 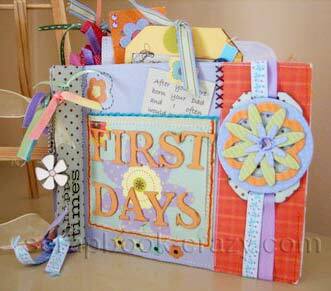 This is a little paper bag book I created to record some of the special things which happened in my daughter's first days of arriving into the world. It was such an overwhelming time I really wanted to sit down and re-live it and I wanted her to be able to hear the funny little stories and to read about our love for her. It's a great book because it lends itself to loads of tags and after working out what was required it only took a night to formulate. 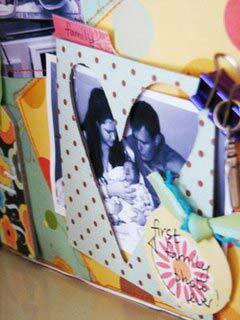 I did it at a class at our local scrap booking shop...bags and sewing and bits and pieces a little ink..gorgeous and economical! !